The arms and waist are long, to assist with freedom of movement. It removes sweat exceptionally well, and keeps optimal temperature. See the table and diagram below for pilot height and weight values, to act as a guide*. *Sizes are for warm climates (worn over a T-shirt). 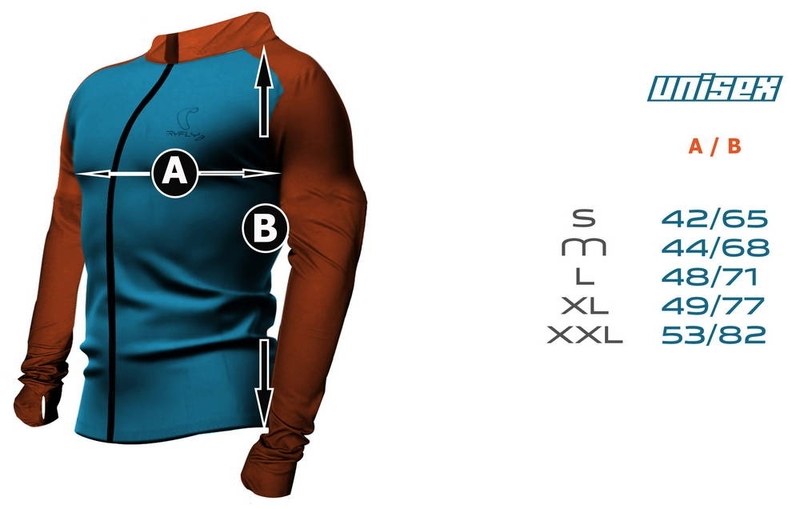 For mild climates where you'd wear it over a light fleece, choose one size up. For colder climates you'd probably want to wear a jacket over it, or choose two sizes up to wear on the outside of bulky clothing.